We know, it's all magic, and they can change their clothing colors with a flick of a wand. But what are you supposed to do before you learn that particular spell? Well, if you really really want to be in House Gryffindor, we have got you covered with this Gryffindor Tie. 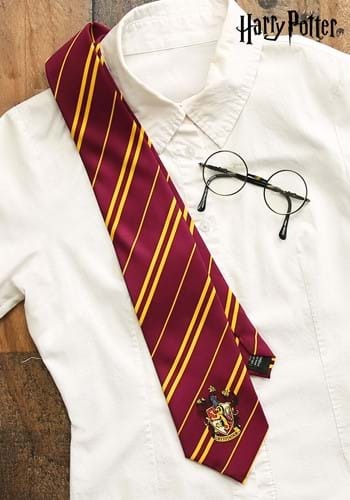 This licensed, dapper looking necktie looks exactly like those worn by Harry Potter and his mates in the movies, and could help your chances of getting into your house of choice. No Sorting Hat can argue with a tie this magical! The quality of the tie is excellent, but the color is off. Gryffindor colors are supposed to be scarlet and gold, but in my opinion this looks fuschia and yellow. Cute, and the material is great... but is too expensive!